Can You Find Affordable Health Insurance for Your Business? The Affordable Care Act has been in effect for five years now. We decided to check in with small business owners to see how well it’s worked for their families and employees. Today we’re hoping to answer this question: is it possible to find affordable heath insurance for your small business under ObamaCare? This episode was inspired by an eCommerceFuel community forum thread that blew up with store owners talking about how difficult it was to get reasonably-priced insurance and the confusion behind the process. If you’re a community member, you can read it and weigh in with your own tale here. Andrew: Welcome to the eCommerceFuel Podcast. I’m your host Andrew Youderian. Let me tell you about the chain of events that inspired this episode. It began with a shocking realization four or five months after my daughter’s birth she’d been uninsured for most of her young life. I’ll spare you the gory details, but we thought we wouldn’t be able to get her insurance for up to six additional months, despite wanting to pay for it under the system that we have here in the States. And then our healthcare premiums, our insurance premiums for a healthy family of four, went from $500 to over $800 per month in one year for worse coverage. 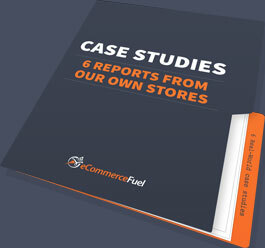 Finally, we had a thread blowup in the eCommerceFuel community with store owners everywhere talking about how hard it was to get reasonably priced insurance, and how confusing the whole process was. So today on the show, is it possible for small business owners to find decent, affordable, coverage for themselves, their families, and their employees? Or should we American based entrepreneurs just all give up and move to Canada? Or, heck, even Cuba, which in some ways, amazingly, has a more functional health care system than we do here at home. The episode today brought to you by Laura Serino, the Community Manager here and also the new Podcast Producer who you’re going to be hearing more from in the future. I’ll let Laura take it from here. Laura: Chris Hillier is one of the managing members of Benefit Health Advisor, a brokerage firm in Englewood, Colorado. He knows firsthand how challenging it can be to navigate the health insurance industry, because it’s his job to work with businesses, both small and large to help them find plans. He also needs to stay on top of the many, many guidelines and Affordable Care Act policies within the industry, which isn’t an easy feat. Chris: I would tell you they are changing everyday, which doesn’t make it easy. But I think some of the changes that come through on a daily basis are probably less relevant than others for most business owners, and then other changes are more significant. Laura: Has navigating the health care industry gotten any easier or worse in 2016? Chris: I think it’s a great question. I think there’s definitely aspects of healthcare that maybe have gotten easier. But by and large, I think the feedback we get most often is that it’s actually become more confusing and more complicated. There’s just so many more rules and regulations, especially as it relates to healthcare reform and all the different options and guidelines that the carriers give, that it’s become a pretty difficult landscape to navigate generally speaking. Coverage has gone down and prices have gone up and just very briefly to explain that, I think part of it is just the increase cost of healthcare. Healthcare becomes more and more expensive each year. Medical inflation continues to rise at about two to three times regular inflation. And then in addition to that, just the administrative burden as well as all of the new regulations that are out there now have caused an increase in cost. Laura: Rick Vaughan owns and operates Mile High Net Stores, and he has the stronger and the most knowledge of the healthcare industry. He used to work as an underwriter for small group policies where he set rates, worked on policy administration, renewals, and plans changes. After that he moved into brokerage where he managed employer benefit plans for businesses that had anywhere from one to thousands of employees. As far as small business owners go, Rick knows his stuff. Rick: After I worked for the broker I went to work for a state department of insurance down on the regulatory side. And so, I’ve worked on the government side of things. So I have that experience as well. I am amazed at the level of red tape and bureaucracy that’s in this health insurance exchange marketplace. Where a lot of small employers have a hard time as they really didn’t understand, especially new entrepreneurs, they don’t understand how expensive health insurance is just to begin with. Laura: This rising cost is something everyone is feeling. Ben Camerota owns MVP Visuals, a store that sells custom made displays and visuals for events. This was his first year attempting to find coverage for himself, his family but also for some of his employees. Here’s Ben. Ben: I had an idea in my mind of however many of hundreds of dollars per month that the business was willing to spend, and thankfully that was in line with what was available from a cost perspective. With the two employees, the most cost effective thing for us to do was to have them sign up individually through their states through the affordable care act, and then we refund them that monthly bill through our payroll each month. Laura: When you say cost effective, are you also talking about the benefits? Were the benefits not as good? Were the deductibles higher when you were trying to go the other route versus having them sign up for their plans on their own and refunding them? Ben: Absolutely. Yeah. When we talk about cost effective, it’s the value that you’re getting. The benefits, and you mentioned some of them. The deductible amount. The maximum out of pocket, things of that nature versus the cost. It’s not easy to understand sometimes, because there are so many different numbers and every plan is different. But you can get a sense pretty quickly when you lay out five or six of them out in front of you. “I’m paying $300 a month for this plan but X, Y, and Z are not included.” In terms of picking a plan, we had a couple of different routes to go. The first would be a group plan, which is an option that my family would be on, and of course any other employees of the company. Another option would be individual plans. Prior to this year, and even currently, I’m on an individual plan with my family. We could have also offered individual plans to my employees and paid through that way. Another option was looking at the Affordable Healthcare Act and potentially having them sign up individually. Laura: Finding a way to offer coverage but also keep costs down is not easy. It’s something Chris Hillier also hears about on a daily basis from clients. Chris: The thing we hear most often is just from a cost standpoint. Healthcare has gotten very expensive, and so to find a plan that makes sense within a budget and that type of thing, is probably the biggest challenge. Again, I think you can get educated about the types of plans available and what’s going to make most sense for an organization. But costs keep going up year after year, and so managing those cost increases and keeping it within budget is probably the most challenging thing at this point in time. Laura: The reality here is that as much as you may want to offer benefits to your team, you might not be in a position to do so. Here’s Chris. Chris: The first question you have to ask yourself is whether or not it makes sense to offer a plan in the first place. There are small businesses that aren’t subject to the ACA mandates, where they’re required to provide coverage to employees, and it just might not make sense. It comes down to their specific organization and what they’re looking to accomplish. In other instances to attract or to retain employees and those types of things, it can be a really helpful thing to have a benefit package and a health insurance plan and that type of thing. Laura: Now that Rick’s been on both sides of the fence, I asked if he thinks it makes sense for a small business owner to just hope on the Obama Care website and figure it out? Or, if it’s just impossible to do it without help? Rick: Having a broker is extremely valuable. A lot of people really don’t understand that. A lot of times brokers are viewed as leeches in the system. They are getting a commission, but they are very valuable. In this experience where I kept having to go back and forth, back and forth, it wasn’t just me on the phone it was my broker’s office. I know the lady in my broker’s office spent multiple hours on hold just trying to get through to them, just for us. I talk to my wife about this all the time. Here I am somebody that’s spent 20 years in the industry, so I’m really familiar with what’s going on, and I don’t understand what they’re sending me. I can’t imagine what it’s like for lay people who haven’t been in the industry to even understand where to go to get this. Laura: Earlier we heard Ben talk about he had his employees pick a plan on their own, and he would then reimburse them. Ben: What we actually ended up doing, was they signed up, and it’s just two of my employees through the Affordable Care Act. And then we’re actually paying for their plan through that, because it’s by far the most cost effective way to do it. In reality, I should have had them on an individual official plan or group plan. So if you want, I can just say “individual plan,” and then that’s what it’ll be. Laura: I feel like that is not unheard of though. I don’t know. The way they worked around it was to add an extra monthly bonus in the amount of their monthly healthcare costs. It’s being coded in their system as a different form of payment, so in that sense, it isn’t illegal. But like all things in the healthcare industry it’s a gray area. After hearing frustrated tale after frustrated tale from business owners, I had to really second guess whether or not support for small businesses exist through the Affordable Care Act. I asked Chris for his take on the matter. 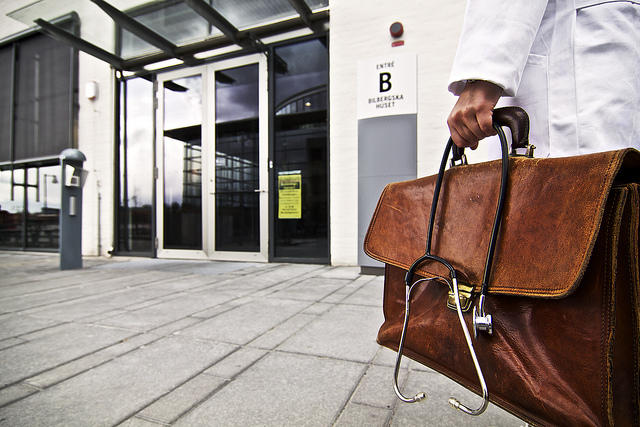 Do you think overall the healthcare industry is protective of small businesses? Are they on the side of small businesses, or is it still just not as easy as it could be for picking health insurance? Chris: You know what, I actually think a lot of progress has been made there, and one of the big advantages that small businesses have is that now all across the country small businesses get pooled or community rates. And what that means is the carriers file the plans and the pricing with the state. So there will be pricing differences for demographics and age and those types of things. But the carriers can’t discriminate for health status or large claims that have happened in the past. That has not always been the case. Even very recently, in most states, the carriers were underwriting small groups based on those types of things. You were left with the situation where small companies could either not get coverage because they were getting denied by all of the carriers, or they were just being priced so high that it was completely unaffordable. At least today there is some protection where the pricing is more pooled across all small businesses, and the carriers also cannot decline to offer coverage and that type of thing. It’s a guarantee issue environment. Ben: I think overall, no matter how you slice it, it’s an expensive endeavor to offer healthcare to your employees. You just need to make sure you have, as an owner, a sense of the potential costs before you try and roll it out to your employees. Chris: I think going forward, one of the big question marks will be, “How do the carrier options and the markets available continue to maybe consolidate, or go away all together in some cases?” And maybe, where there are other companies and options that become available, and do provide the kind of element of competition that’s helpful. So that’s one of the things that we’ll be watching for. Laura: Now that the deadline for enrollment through the Affordable Care Act has passed, Ben is trying to not dwell on the past too much and instead he’s thinking through how he’ll handle things differently next year. Ben: I would say at this point, after offering a healthcare plan to my employees through my company for the first time, I’m feeling two things. One is certainly more informed. Just because I had to go through the process and research all the information and have discussions with my employees. But I’m absolutely frustrated, just because it took longer than I wanted it to. For right or wrong, this was right around the time when your year-end planning, focusing your efforts on 2016 and the new year. And at the time, because I thought it was going to be a fairly painless process, I didn’t allot a lot of time and energy or resources for this initially. And that really ended up hurting me because it just took longer, because I didn’t sit down and take the time needed to knock everything out initially. I thought this would be a process that was cut and dry, and I would chose a specific dollar amount or specific level that we would be able to offer, and the truth is, whether it’s individual, group living in different states, there are so many different options that do I feel like we got the best plan for my family or even for my employees? I’m really not sure. Andrew: We’d love to hear your thoughts on this episode. What’s going on with you in terms of your healthcare? You can join in the discussion inside the eCommerceFuel community, and we’ll link up to that thread in the show notes for this episode which you can find at ecommercefuel.com/insurance. If you’re not a community member we’d love to have you. We’re a community of store owners with at least $250,000 in annual revenues. You can learn more and apply for membership at ecommercefuel.com/apply. Thanks to Laura for all her hard work on this episode and thanks so much for listening. Looking forward to seeing you again next Friday. eCommerceFuel community post: U.S. Health Insurance for Business Owners – What Are You Doing? Every few months I want to sit down and solve the health care thing, but I don’t think the US health care system has a solution for companies like ours. We spend 3-9 months of the year outside the US. The idea of spending 500-800 USD/mo. while outside the country makes no sense. If we get hurt outside the country, do we get reimbursed for the healthcare we receive? If we get hurt in Thailand that would be great… but we don’t pay for Healthcare while in Australia… do we get reduced insurance while there? We should… the liability is far closer to 0 while we are there. I’m grateful you brought this conversations up but it’s important to be honest here. This episode doesn’t really help. I still don’t know what to do for my team. I consider the US to be the most dangerous country in terms of health care. If we get hurt in Thailand, we can just pay the bill as the cost of health care is a fraction. If we get hurt in Australia, we’re fine. If we get hurt in the USA, it’s a nightmare. As a location independent business, it makes sense to just leave the USA. I think the intention here was to speak about a few of the questions and issues that plague US-based companies that are here year-round. It sounds like you’ve got a niche problem that can only be solved if you speak with a healthcare professional. Agreed. It’s a good conversation, it’s just an unfortunate situation.